Pretty ceramic candle holders for votive and tealight candles to enhance your home. Create the perfect atmosphere in any room of the house. Add your own favourite fragrant candles to create the aromas you love. 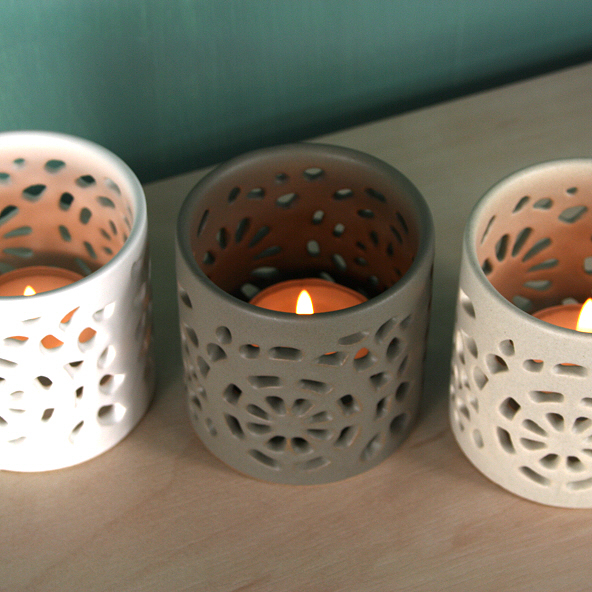 Three attractive pottery tealight holders with cut out patterns in varying pretty shades of grey, cream and white. A set of three attractive tealight candle holders with cut out patterns in varying beautiful shades of purple.